IN ACCORDANCE WITH SAIL TOMINI AND FESTIVAL OF BOALEMO 2015 Theme: "Tomini Bay for the Glory of Indonesia as the centre of the maritime world"
UNIVERSITY require many changes in the coming decades. Cutting-edge characteristics that distinguish the XXI century with the industrial era is centralization of human creativity in managing opportunities and resources. 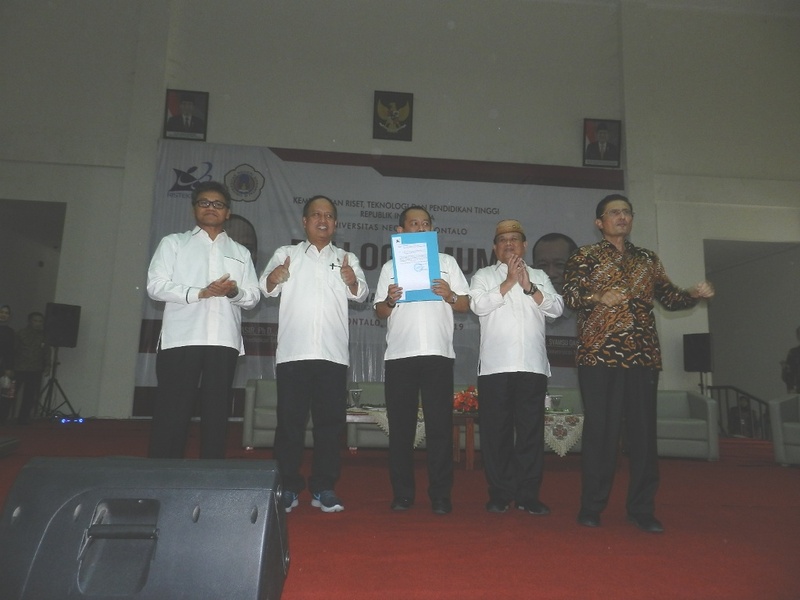 Rector of Gorontalo State University as the policy executant in Gorontalo State University environment, formulate four main policy pillar, society in Gorontalo State University know this policy as Gorontalo State University four policy development pillar. 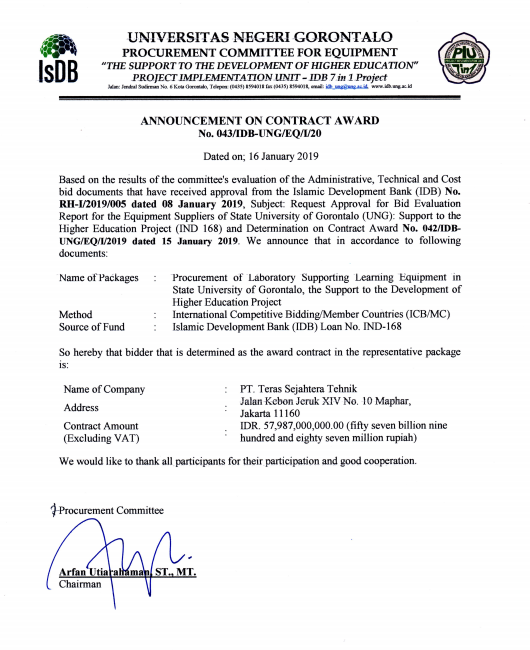 Strenght and empower the excellence of Gorontalo State University, help Gorontalo State University to become qualified university and create smart human resource. 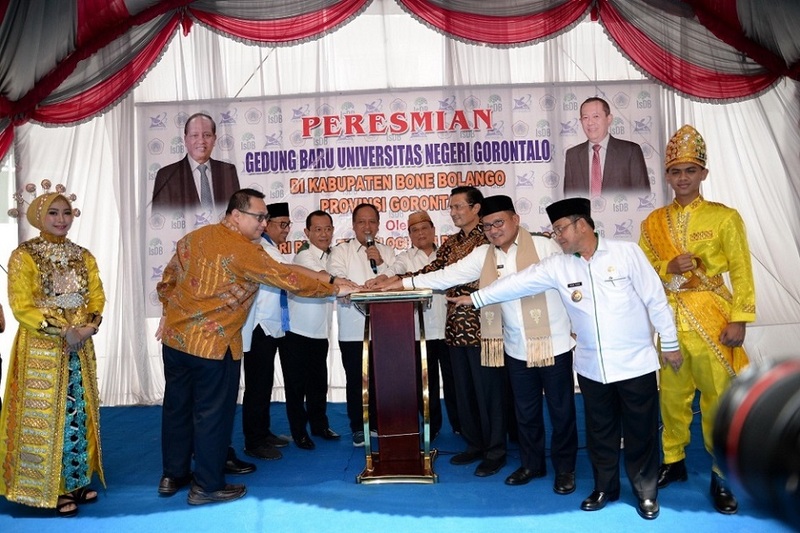 Harmonize the human capacity of Gorontalo State University with campus autonomy guidance, social change, and global development trough hard skills and soft skills. Partnership and cooperation is the principle of improvement. Therefore these pillars become the "main gate" of accelerated program. Innovation should further strengthen cooperation and with collaboration we develop internal innovation and work culture. With innovation and collaboration, we build national and international reputation through academic activities, joint publications and cultural events. Promote Gorontalo State University trough managing the environment to create campus as the center of knowldge.